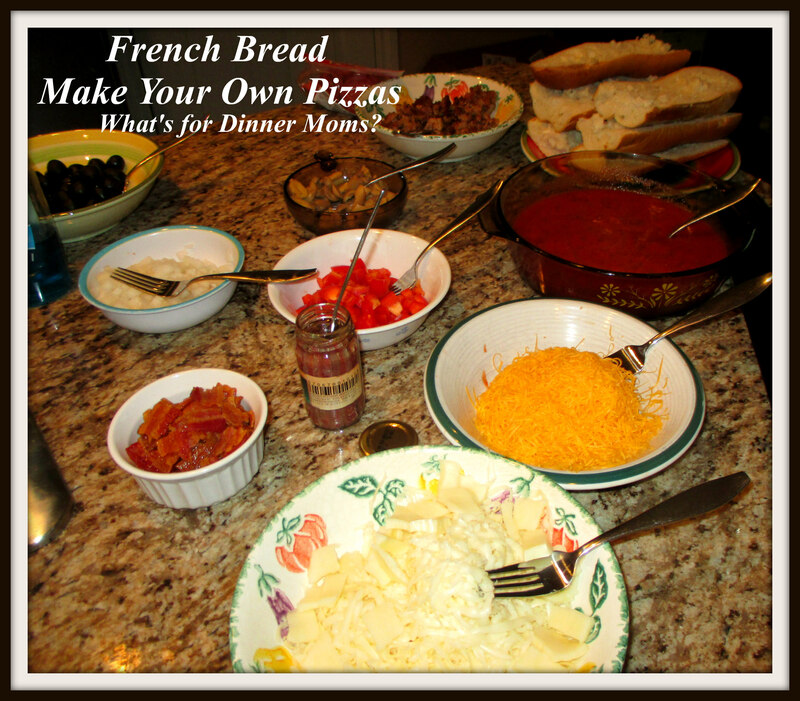 French Bread Pizzas – Make Your Own Pizza Buffet – What's for Dinner Moms? We went grocery shopping last night, $544. Ugh. Yes, most of it is stock-up for the month but I still have to buy fresh vegetables and fruit, which we are eating a TON of right now, and some milk each week. The part that gets me is everything has gone up again. I was looking at a can on olives that six months ago was $1.25 and I could buy on sale for $.99. Last night regular price was $1.49 and on SALE it was $1.25. Just about every item I picked up was either smaller in size or the price had gone up. This does not include much meat. I did buy 3 lbs. of shrimp, 4 pounds of tilapia, 2 pounds of salmon and 2 pounds of tofu. I am used to buying 30-40 lbs. of meat a month! So that my grocery bill goes up and I don’t buy tons of meat almost feels defeating. But, we did clean out most of our pantry supplies this month so we did start stocking up on sugar, flour, sauces and pasta. Still, we need to eat. My daughter had friends over the other night and I needed to feed them dinner. They have very different food likes and dislikes so I made a Make Your Own Pizza Buffet. They could choose red pizza sauce or pesto for their pizza and then toppings such as Italian sausage, bacon, pepperoni, anchovies, diced onion, diced peppers, banana peppers, cheddar cheese, mozzarella cheese, olives and mushrooms. These were some of their creations. The girls thought it was fun and everyone got to put their favorite toppings on their own pizza so no one had to touch icky mushrooms or olives if they didn’t want to. The edges of the pizza were nice and crispy and the centers were still soft. Add a bit more pizza sauce or pesto that you think you may need was the secret to making it saucy but not too saucy as some of the sauce bakes into the crust. 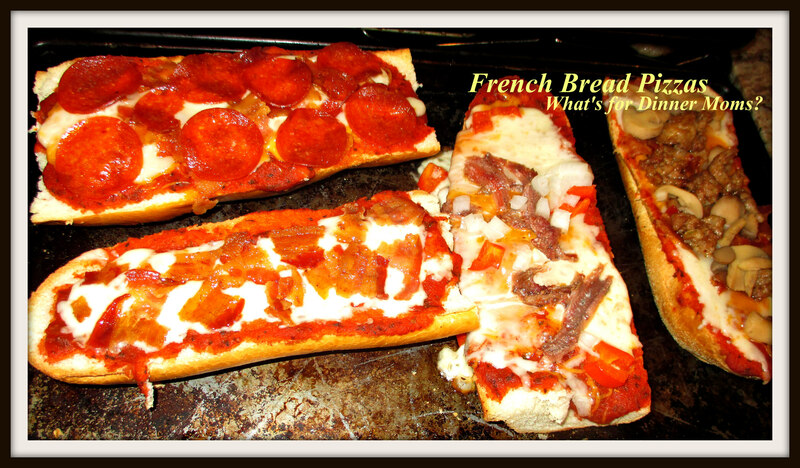 Bake topped pizzas for 5-10 minutes. Watch carefully and remove when brown and bubbly on top. Be careful as they go from brown to burnt quickly! Let sit 3-5 minutes before serving. I love this idea! I’m going to steal this for future ge togethers with friends. We always struggle to find something everyone likes but this is simple and lets everyone do what they like. Great post! They look great! And I know what you mean about food bills. It keeps on going up!